Jeffrey and Bethany Spang joined Arctic Barnabas in 2015. After their marriage in January 2006, they moved to MI and Jeffrey attended the School of Missionary Aviation Technology for his aircraft mechanic's license. Soon after, Compass Aviation in North Carolina became home to gain the flight and maintenance experience needed for mission agencies. As an equipped pilot/mechanic family, they searched for God's direction to a field of service, which lead them to Arctic Barnabas Ministries (ABM). God firmly knit their hearts’ desires with the ministry purpose of ABM. Jeffrey leads Alaska Mission Connection and serves in Pastoral Care and IT. Bethany, aside from being a full-time mommy, takes part to plan and host women’s retreats and carries her role in pastoral care with pastors’ wives when God allows. Individually and as a family, they take opportunities to visit pastors and missionaries in the "bush." Born in California and saved at age five, Jeffrey grew up in a Christian home, both in the US and later in England where his father retired from the military and followed the Lord’s calling into missions. From "military kid" to "missionary kid,” Jeffrey held a strong desire to work for the Lord. He wanted to become a missionary pilot since age thirteen and pursued aviation to reach that goal. Jeffrey saw the need for the Gospel and missionary pilots first-hand in 1999 on a trip to Papua New Guinea as part of a workgroup. At age eighteen he gained his private pilot's license and then pursued Biblical training at New Tribes Bible Institute in Wisconsin. Bethany, born in California and raised in a Christian home, also came to know the Lord with child-like faith at age five. Her parents’ involvement with international students, their commitment to pray for missionary friends, and mission trips introduced Bethany early in life to the need for God’s Word to abide in the lives of people all over the world. Following this call led her to New Tribes Bible Institute as well. Jeffrey and Bethany found each other at Bible School and realized God desired them to serve Him together. The addition of four boys and a girl to their family thoroughly bless them. 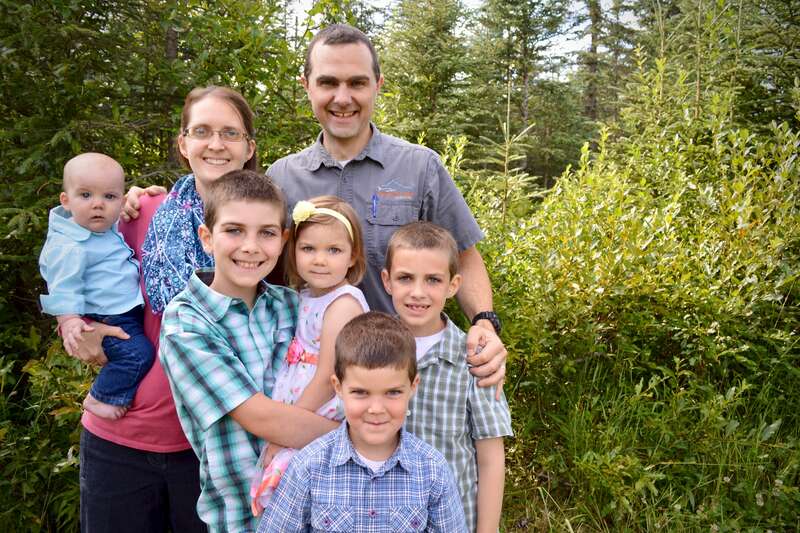 Jeffrey and Bethany currently reside in Soldotna AK with their five children.